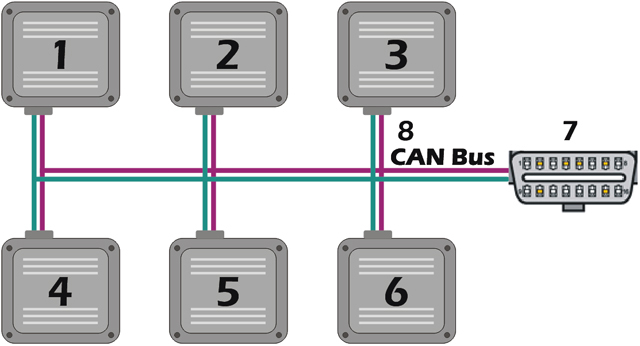 The Controller Area Network (CAN, also known as CAN Bus) is a vehicle bus standard designed to allow electronic control units and devices to communicate with each other in applications without a host computer. 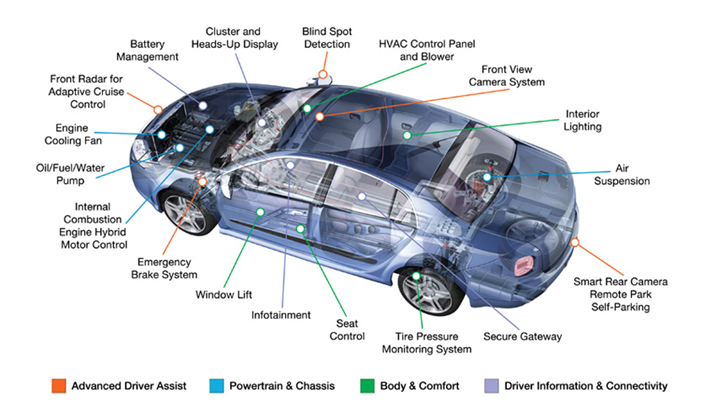 As an alternative to conventional multi-wire looms, CAN Bus allows various electronic components (such as: electronic control units, microcontrollers, devices, sensors, actuators and other electronic components throughout the vehicle) to communicate on a single or dual-wire network data bus up to 1 Mb/s. 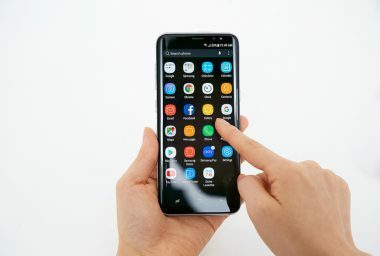 The CAN Bus is a message based protocol, designed originally for multiplex electrical wiring within motor vehicles, but also can be used in many other contexts.